Washington (CNN) - Former South Carolina Gov. 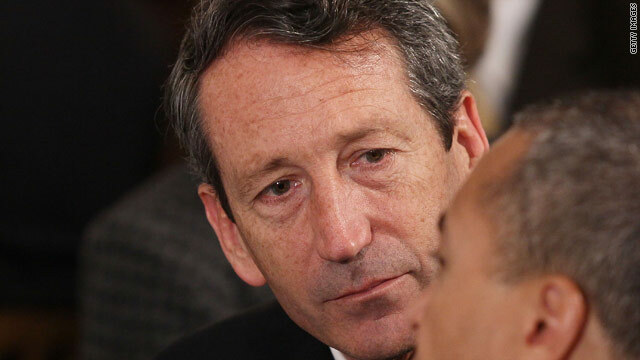 Mark Sanford will formally announce his campaign for the U.S. House on Wednesday morning, an aide to the governor confirmed. CNN first reported Sanford's planned political comeback in December. Sanford confirmed his intentions in an interview with the conservative National Review on Tuesday afternoon. He addressed concerns about the extramarital affair that many thought ended his political career in 2009. That summer, Sanford left the state without telling his staff to visit his girlfriend in Argentina, and admitted the affair in an emotional press conference carried live on national television. "I think that the bigger issue is, don't judge any one person by their best day, don't judge them by their worst day," Sanford said Tuesday. "Look at the totality, the whole of their life, and make judgments accordingly." Sanford's ex-wife Jenny told reporters Monday that Mark's ability to handle questions about the affair "will make or break his campaign." Sanford said he will focus his House campaign on issues of debt and spending. Sanford intends to seek the Republican nomination in South Carolina's 1st Congressional District, a seat being vacated by Rep. Tim Scott, who was appointed to the United States Senate late last year by Gov. Nikki Haley. The open House seat has already drawn a bumper crop of possible Republican candidates, including state Sen. Larry Grooms and Teddy Turner, the son of CNN founder Ted Turner. The deadline to file for the seat is Friday. Whoever wins the GOP primary on March 19 is all-but-certain to take the seat, since the district is drawn to favor Republicans. The general election will take place on May 7. Sanford, who resides in the Charleston area, represented the coastal district from 1995 to 2001. In 2002, he was elected governor, serving two terms and plotting an eventual presidential campaign before the affair derailed his national ambitions. Hahahaha @ Teatrolls who crapped on Weiner in the previous article. Perhaps he should forget politics. That would leave more time for hiking the Appalachian trail. ............with that Argentino Bimbo???? Ha.ha.ha.haaaa!!!! Back from the Appalachian Trail, it's disgraced Gov. Sanford. lol. Maybe he can get some advise from the diaper guy in Louisiana. He is a disgraced, ridiculous, idiotic coward. And obviously not very bright. Probably fit pretty well into the GOP. He should be the tea baggers fav. I'm sure since he prayed 2 god 4 forgiveness all is good now. Cant agree with u more paul in nh. We had al green running against demint in 2010. If that's the best the dems can find n that state. We r screwed.